Candidate by Candidate we’ve got thoughts, snark, comments and compliments. We’ve got a big winner and a big loser and Lord those hair styles! Come in and get the real scoop. My mind is still reeling from watching last night’s CNBC debates, complete with a bunch of moderators with nothing going for them that was evident to anyone of any intellect. That cute young female….what was whoever hired her thinking? All of the moderators failed last night, let’s look into each and every candidate, see who failed, see what worked. 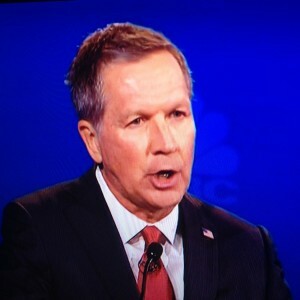 To begin with, John Kasich has a superior attitude that does not work well with his very low standard in the polls. He goes on about how on earth are we going to deport 11 million people while leaving their children behind and little did he know that by posing that very scenario he captured exactly what is wrong with this country’s immigration policy. An immigration policy put in place and maintained, such as it is, by the political class, both the current occupants of those of years passed. First, why are there 11 million illegals in this country and why were they left here long enough to reproduce? Kasich tends to sneer and dismiss everyone but his fine political buddies. It’s very obvious, not cute, and it’s why he’s never going to win that nomination. Why did Jeb Bush go off on Marco Rubio for his attendance in the senate so viciously? Let us backtrack a bit, some of the commenters of these past hours have declared Jeb Bush dead, that he obviously doesn’t want to continue the family legacy, that his lackluster performance is indicative of him throwing in the towel. Nonsense. Jeb Bush thought he should be president before his dopey older brother for his whole life and now it’s his turn, dammit, and he will not be stopped. It is speculated that Jeb went after Marco Rubio for his spotty senate attendance record because Jeb had to destroy Rubio to Florida if he has a hope of winning the national primary. Not that missing a couple of senate sessions is a road to destruction it does have a certain appeal to cynical voters that could hurt Rubio in their mutual home state of Florida. I did not know that Ted Cruz has some kind of memory magic thing that has him remembering everything that he hears. Cruz did a great job of bringing down those moderators and their horribly prejudicial questions. I love how Cruz said loud and proud that none of us believe that those moderators, especially that cute little chickadee, would ever vote for a single Republican on that page. I still say that Ted Cruz is our next President, possibly a Donald Trump for VP although that’s not ideal. Ben Carson got beat on by one moderator who commented on some business that Carson sits on the Board of and his picture on that businesses’ home page. Carson replied that he doesn’t know everyone using his picture. The idiot moderator then, in desperation, asks if this lack of knowledge of all web pages having a Ben Carson pic as being bad “vetting”. Say what? That comment was so stupid that the crowd jeered. Did that simple-minded moderator really think that Dr. Carson should be spending his days documenting web sites with his picture? The moderator asked Rubio some questions about his personal finances that had me raising my eyebrows. Seems the Rubios had an IRA of $68,000 and Rubio made a withdrawal from it which included a penalty and taxes of over $24,000. Okay so I have a little bit of a finance background and one of the dumbest things one can do is to take a withdrawal of one’s IRS/401K. They built those penalties and interest in the cost of doing such a thing specifically to put an end to it. I am not without understanding and Rubio did explain that he has multiple childerlings and the costs of schools, yada, yada. Some might say such desperation is not unknown to yon average American but it does seem odd for a vaunted sitting senator. Not that the moderator had any business asking such a thing I’d sniff. I am really tired of hearing that Fiorina bankrupted HP, that she drove the company into the sea, that she destroyed lives, wrecked homes, killed innocent computers. Here’s what I know. Carly Fiorina worked for Hewlett-Packard for five years. Five years is very much an average job term for people of Carly’s age back in the day. Really, really bad employees do not last for five years. She couldn’t have been that bad. Carly did a great job of dealing with the issue, explaining about the many differences of opinions between her and the Board of Directors. She then offered the tidbit that the former HP Chairman of the Board admitted that Carly had been right about Hewlett Packard. The moderator, evidently anticipating this defense, said that this same former Chairman of the HP board once said that number of votes should be based on income, not that one vote/one man thing. “That’s why I had issues with the man,” Carly did a touche. Moderator attempt to use Hewlett Packard to dismiss Carly….FAIL. There he was smack in the middle of the podium and The Donald did okay. I love the way he very ostentatiously pointed out to John Kasich that he was way in the bottom of the polls “That’s why you’re on the end,” Donald said and I laughed and howled. Perfect timing. 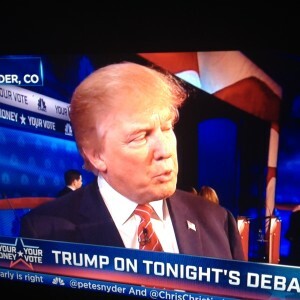 The Donald did all right…..not as good as Ted Cruz but he held his own. I still wonder why Mike Huckabee is in this race but so far he’s holding his own. Huck did have the best analogy of the night with his description of the runaway blimp that was cutting off electricity over the many miles as it broke wires and kept on going. Seems it’s a government blimp of some kind and pretty useless but hey, it’s got to be kept somewhere. Huckabee compared this runaway blimp and its destruction in its path to the federal government. Cause once the government builds it it’s here forever. One of the dumbest arguments ever about payroll is a promise to do away with what is incorrectly called the payroll tax. It’s NOT the payroll tax, it’s social security and medicare tax and the employee pays half and the employer pays half. As Rand Paul pointed out, correctly , many people do not pay any taxes. Thus tax cuts give them nothing. But remove that payroll tax and boom, like that employees get a 7.65% raise in pay. Paul tossed off the important factoid that the 7.65% would be footed by the employer, said employer already bearing the burden of that same cost. That’s, de facto, adding 7.65% burden to business owners that they can’t afford yet Rand Paul throws such a mind-boggling burden to an economy that can’t handle the business taxes now. 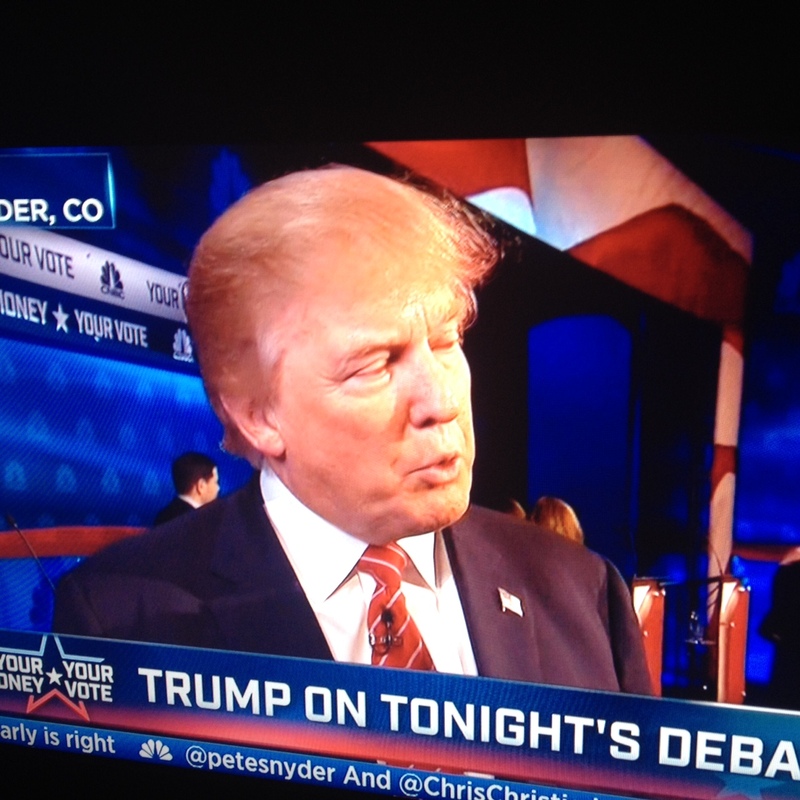 Dumb….don’t vote for this guy. We hear there was big arguments about the so-called green rooms with Chris Christie having a green room centered by a toilet. I thought Carly Fiorina looked great and she did a great job. I’m kind of partial to Carlyt cause she’s a woman….yeah. Finally, I’d like to publicly pooh-pooh all assertions that a president needs to have experience to take the job. Nonsense. A president needs some brains, sure, but the President of the United States has access to the best minds and information on the planet. Give me a brilliant surgeon like Ben Carson with little foreign background….I think he’d call upon other experts, hear them out, and make the right decisions. I’d take an inexperienced Ben Carson over a smirky John Kasich any day of the year. 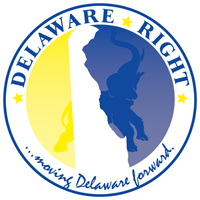 NEXT : Some Delaware tidbits and updates on MY court case. Getting calls and questions about it, folks plan to turn out.